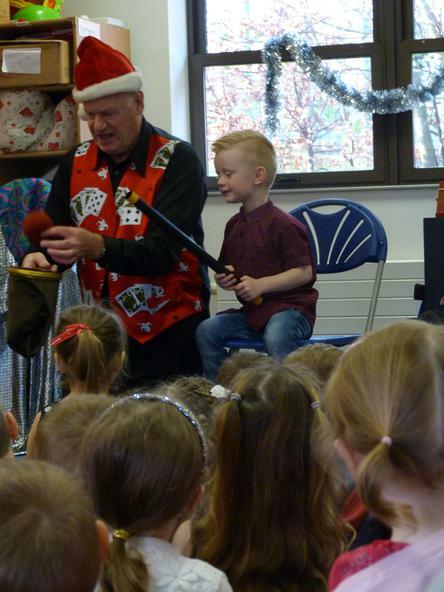 What a fantastic Christmas party to end a superb term! 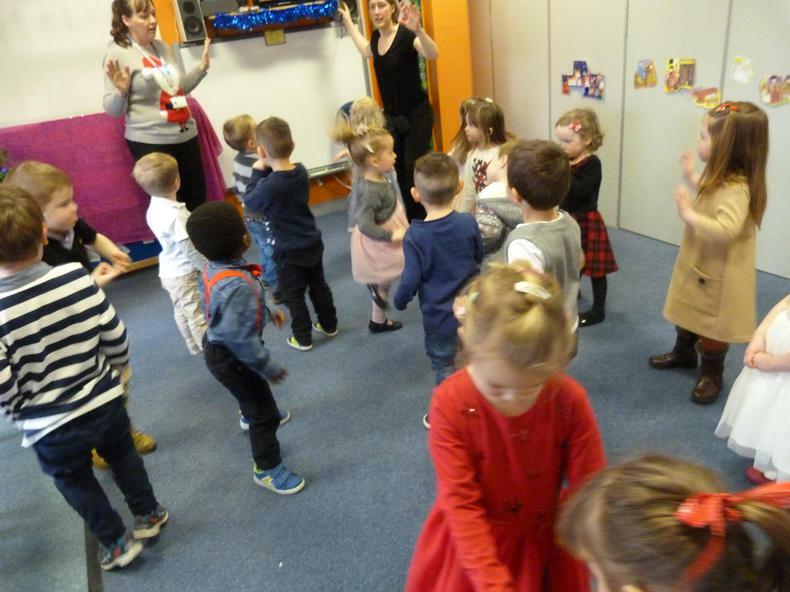 Both morning and afternoon children came together for a fun filled party. 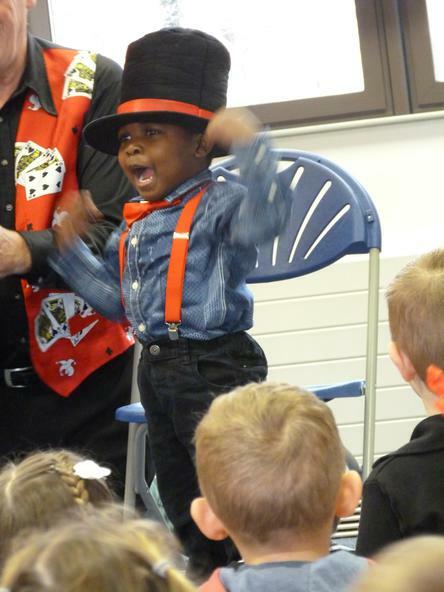 We were so excited to see all our friends in their special party clothes and to find out what was going to happen. 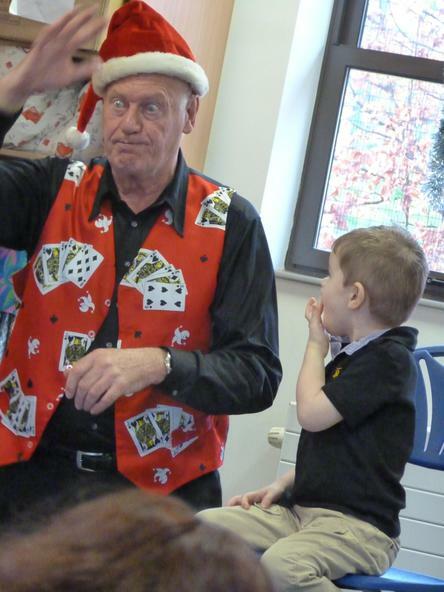 A special guest came to visit called Peter Presto and his fab talent was making children laugh! And what a super job he did! We laughed so much at all his tricks and funny jokes. 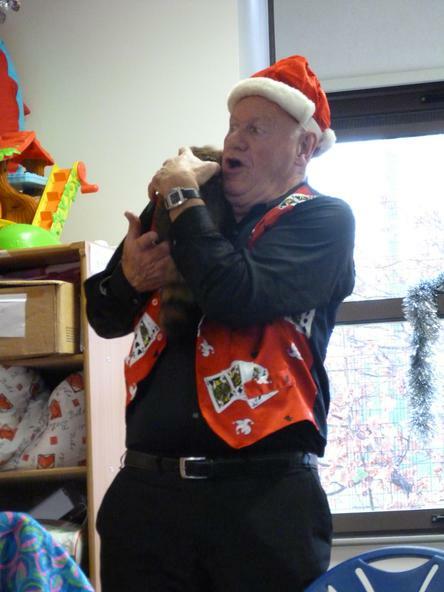 He had some furry friends that were very cheeky and even tried to jump into Ruth's lap! 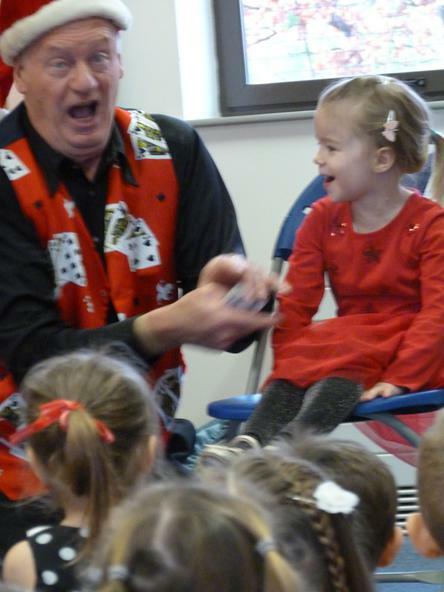 He asked for some helpers who were amazed by their ability to create magic and also made us laugh a lot! 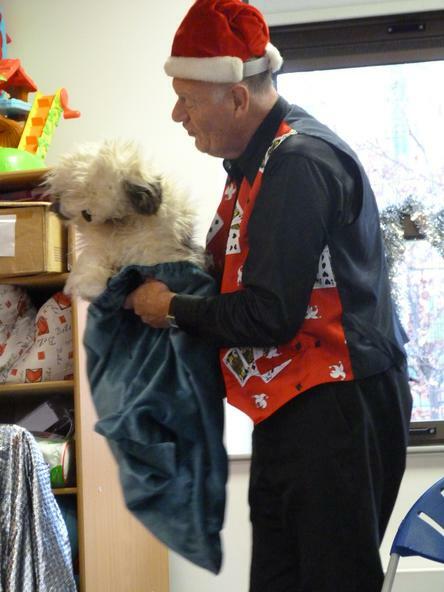 It was soon time to say goodbye and thank you to Peter as we got ready for our party lunch. We went to the toilet and washed our hands remembering how to stay safe travelling around Nursery. 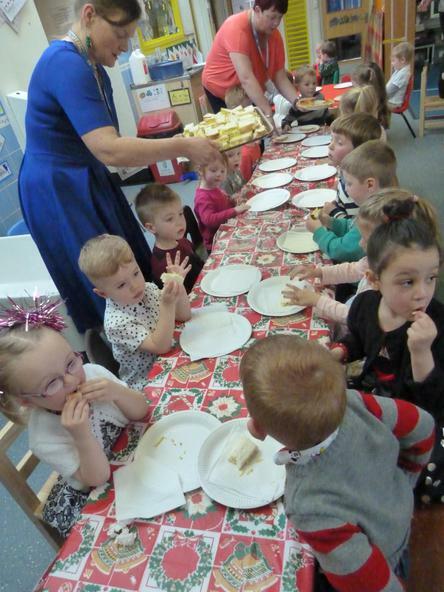 We tucked into some fab food and used our super manners too! Pudding was a real treat and we were ready for some Christmas games and fun again. As we all got together again, we sang some of our favourite Christmas songs and in the distance we heard a jingling bell sound!!!! Who could it be???? It was Santa Claus, coming to visit us as he said in the letter he sent us! 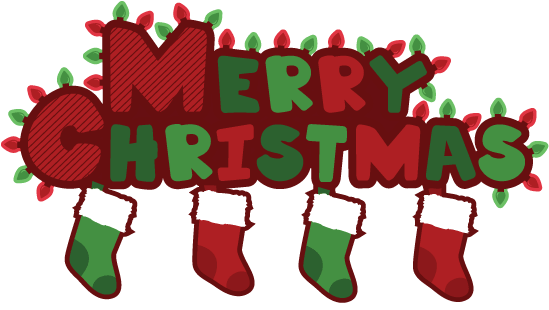 He had bags of gifts and even the ladies must have been on the good list as they recieved a special gift each! 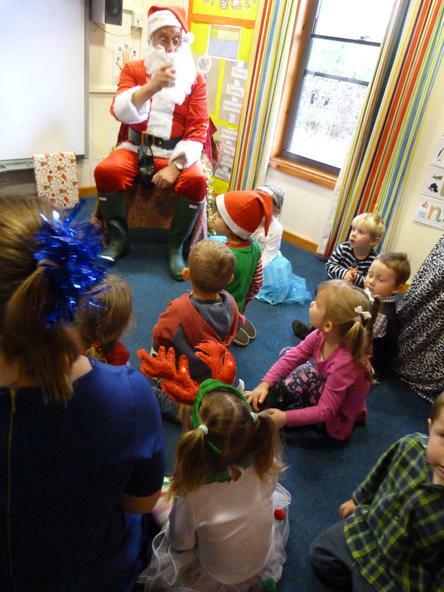 Santa said that he could not wait to hear how we had been celebrating and preparing for Christmas and what we had put on our Christmas lists. 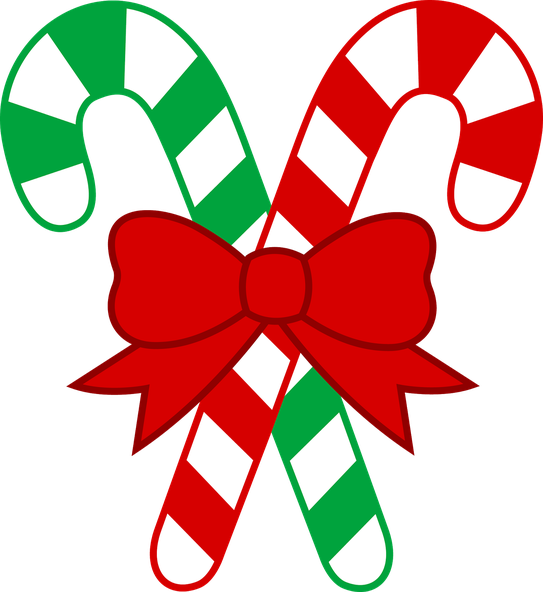 We played pass the Christmas parcel, Christmas musical statues and had a chat with Santa and then it was time to go home! 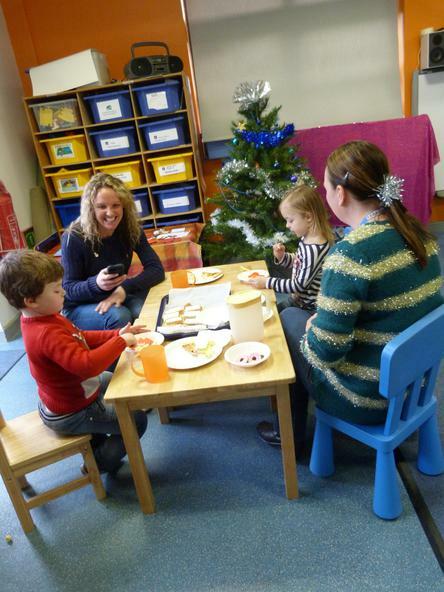 Stephanie and all the ladies said 'Happy Christmas' to us all and hoped that we would have a lovely time with our families enjoying our Christmas celebrations. Phew, we were ready for a Christmas break after all that fun! !